The executive committee of the University of Dayton?s board of trustees has appointed alumnus and trustee David P. Yeager as chair of the presidential search committee. "If I could choose one word that describes the role of a trustee that would be stewardship, and David Yeager exemplifies that description as well as anyone I've ever met. He is a consummate professional, highly responsible and has a high degree of wisdom and experience. The board of trustees has a great deal of faith in him, and we look forward to Dave taking the reins on this extremely important endeavor," said Steve Cobb, chair of the board of trustees. The 17-member search committee comprises a cross-section of the campus community, including faculty, trustees, administrators, staff, a student, the president-elect of the Alumni Association and a representative of the Dayton community. The nationally recognized executive search firm Isaacson, Miller will help the committee conduct the search for the University's 19th president. "We strongly believe this will be an inclusive search that will bring the campus community together in conversations about the future of the University of Dayton," Yeager said. "To attract the best candidates, we will respect confidentiality about the candidate pool during the process and beyond." 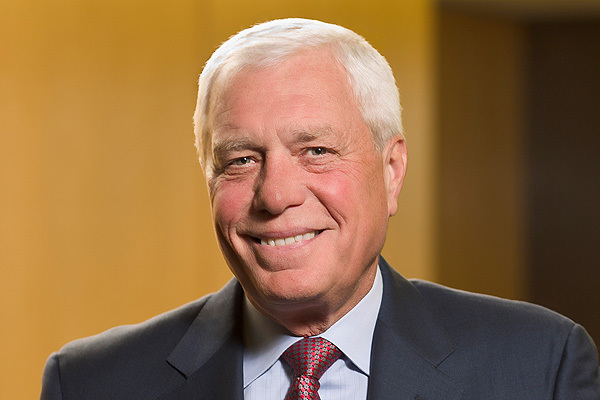 Yeager is chairman of the board and chief executive officer of Hub Group, Inc., one of the nation's largest truckload transportation companies. He joined Hub Group in 1975 and was appointed CEO in 1996. In 2008, he became chairman and CEO. Yeager currently serves on the board of directors for Children's Memorial Hospital-Chicago and is a lifetime trustee of Fenwick High School in Oak Park, Ill. He received an MBA from the University of Chicago in 1987 and a bachelor of arts in chemistry from the University of Dayton in 1975. Daniel J. Curran, University of Dayton president since 2002, announced in December that he will step down in June 2016 and return to teaching and research.